I want to thank The Kohler Company for sponsoring and hosting me at The American Club Resort and the 2016 Kohler Food and Wine Experience. All opinions and photography (unless otherwise noted) are -as always-my own! I’ve been all over the world, but -until last month- I never knew that there was a 5 Star, 5 Diamond resort in Wisconsin, just a hop, skip, and a jump across Lake Michigan from where I grew up. 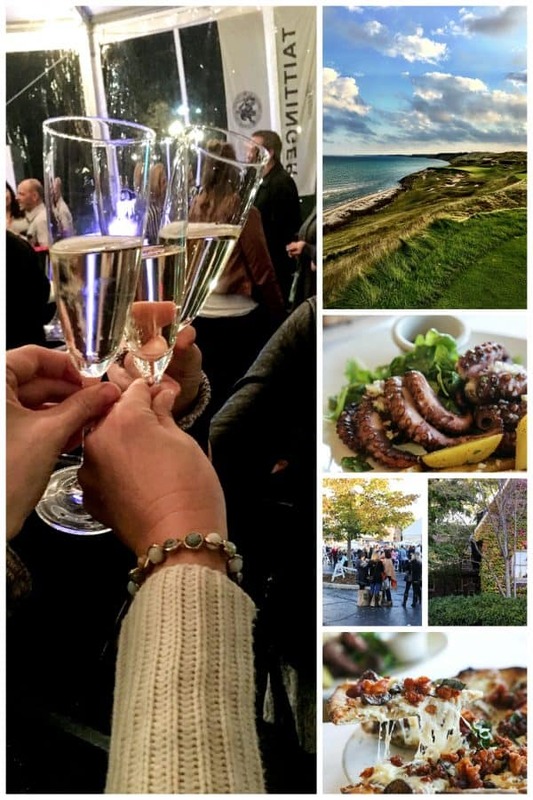 I had the great joy of being invited to attend the 2016 Kohler Food and Wine Experience in Kohler, Wisconsin in October, and boy am I ever happy I said yes. Kohler is just a million kinds of impressive, friends. It began as a “company town” for the Kohler Company. Yes, that Kohler company; the same one that makes fabulous faucets, sinks, fixtures, toilets, and engines(! ), among other things. 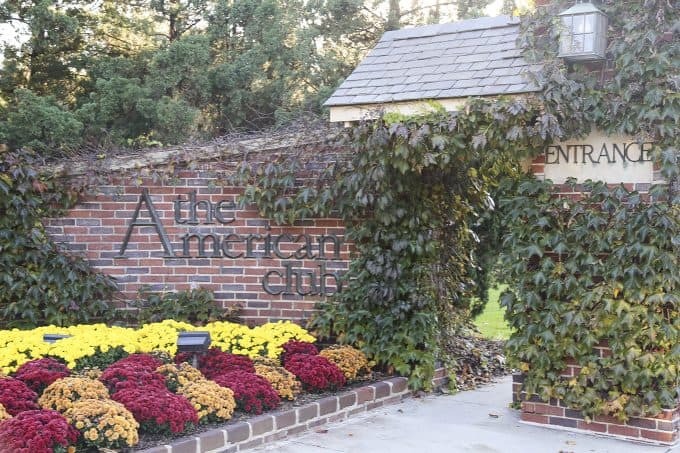 The 5-Star, 5-Diamond lodgings where I stayed, The American Club Resort Hotel, started its existence as a dormitory for the skilled immigrant workers that Kohler brought in to make its ceramics world class. It wasn’t just any dormitory, though, as I learned in a tour of the Kohler Company Museum. They had an in house barbershop, English tutors, and citizenship classes. Kohler sponsored all of these men and their families in citizenship if they wished to pursue it. Between the history and the fact that every single employee of Kohler, The American Club, The Kohler Waters Spa, and all of the restaurants in town were glowing in their love for Kohler, I was more than a little inclined to love Kohler-the-company and Kohler-the-town, as well. My introduction to the town came at a chocolate and brandy tasting where the world was introduced to the newest project from Mr. Herb Kohler himself; Kohler Dark Chocolate Brandy. My word folks. If you are a chocolate lover you owe it to yourself to try this. It is not sweet, really, unlike many cloying chocolate liqueurs and cordials on the market. I believe this will be a fantastic holiday mixer. A great example of the affection residents have for the Kohler Company was on display when Mr. Kohler sat at Woodlake Market, the local grocery store, to sign bottles of Kohler Dark Chocolate Brandy for those who wanted it. 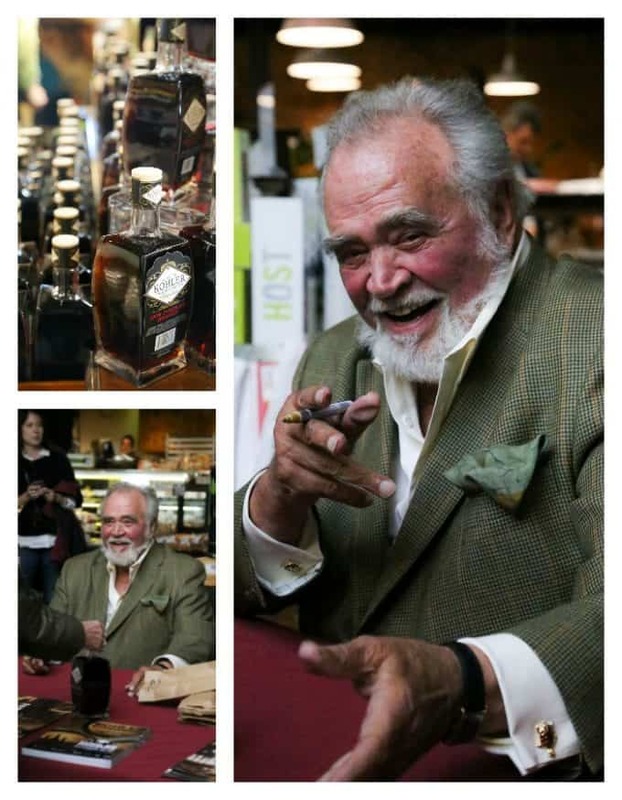 One woman bought 12 bottles and had Mr. Kohler sign them all for gifts. The line snaked out of the building, folks! 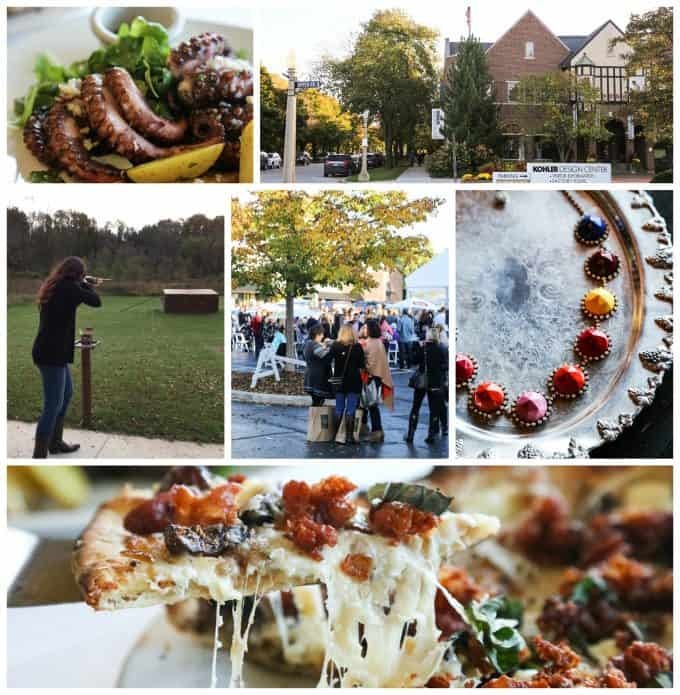 There’s so much to love about the Kohler Food and Wine Experience, friends, because the atmosphere is one of pure, refined fun. 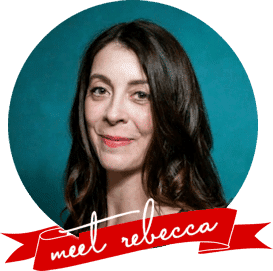 Of course, your enjoyment potential is exponential if you love world class wine and food and don’t mind rubbing shoulders with celebrity chefs like Aaron Sanchez (who has some serious dance moves, friends), and Amanda Freitag. 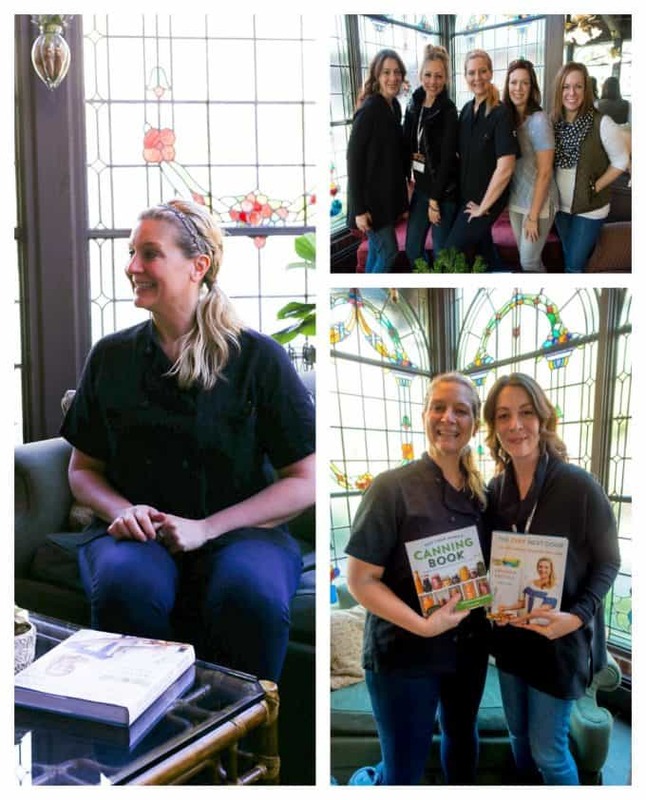 I’ll tell you right now that one of the highlights of my entire trip was getting to meet Amanda Freitag and exchange books with her. She is every bit as charming, quirky, endearing, and gracious in person as she is on television. I’m so grateful I got to meet her! The scene at Taste of the Vine was incredible. There were two floors of world class chefs of Destination Kohler offering small plates interspersed among some of the best wines I have ever seen given out as samples at a wine tasting anywhere. These tables were tucked in and among the permanent design displays in the Kohler Design Center. I sat in a beautifully appointed “show bathroom” alongside a whirlpool tub eating a freshly grilled bulgogi skewer on kimchi and sipping at a magnificent Pinot Noir. Guys. It was so beautiful and I was so comfortable I almost drew myself a bath. Two days after the event, I went back to the Design Center just to wander around and more carefully admire all of the beautiful looks and rooms they had put together. I loved the opportunity to try out different combinations of shower heads and faucets. I am formulating an idea for a minor DIY kitchen project that will make a major impact on my kitchen efficiency because of my time in the Design Center. The next two days, my travel buddies Sommer of A Spicy Perspective, Becky of The Cookie Rookie, and Katerina of Diethood explored as much of Kohler as we possibly could. From trap shooting (how did they even know how much I love to shoot? ), to exploring the stunning Straits at Whistling Straits golf course, to dining at as many restaurants in the village of Kohler that we could possibly squeeze into the schedule, to experiencing the wondrous treatments at The Kohler Waters Spa, to just plain soaking in the autumnal splendor of Wisconsin in October, we had a weekend jam packed with indulgence and excitement. 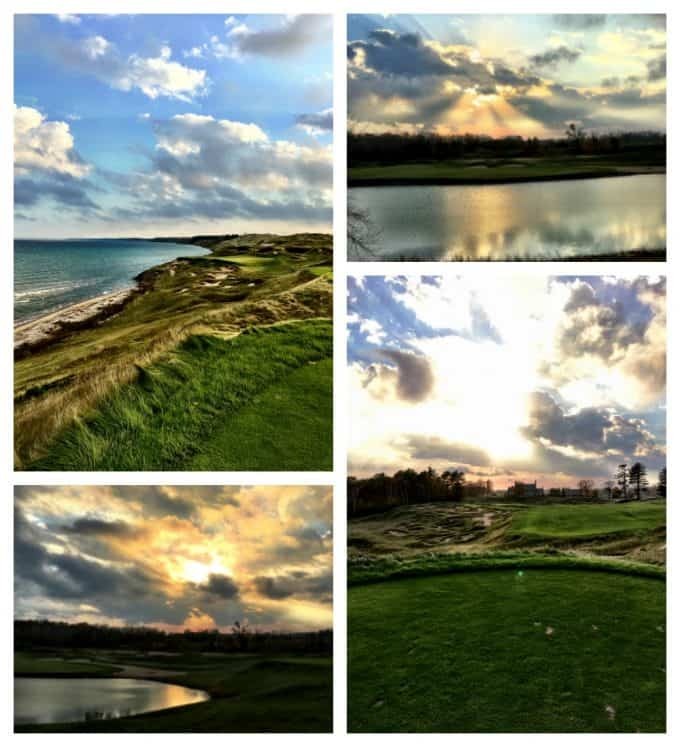 I want to show you a little more about Whistling Straits Golf Course, folks. We dined on a lovely meal at the clubhouse just as the sun was setting. There are few sights more stunning than a wind-swept, European links-style golf course. Lake Michigan is awe inspiring even on quiet days, but when the wind is whipping, it has a special beauty juxtaposed against the Irish-inspired course. You could be standing on an Irish hillside overlooking the ocean for all of the vast expanse of water and green. 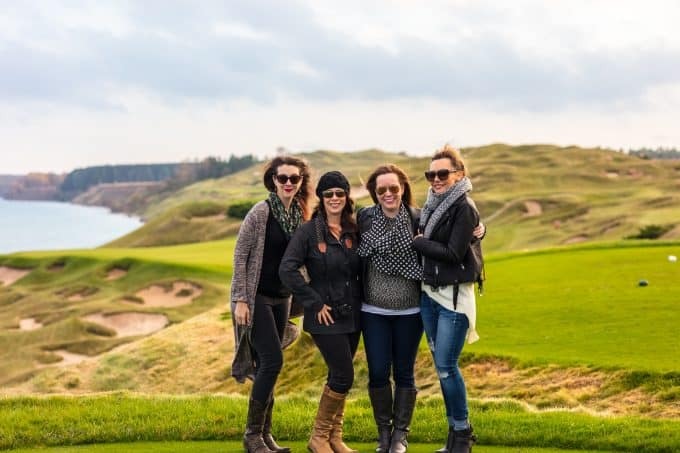 Clearly, golfers are going to be equally impressed by the fact that the Straits at Whistling Straits has already hosted three PGA Championships and is slated to host the Ryder Cup in 2020! After pouring myself back into my clothes I floated up the stairs to the lounge area and lunched on a fresh spa meal with my friends. I have never in my life been that relaxed and pampered. If it wasn’t for all the other attractions in and around Kohler, I could have happily have spent an entire weekend at The Kohler Waters Spa. Sigh. Take me back. Please. I had life-changing fried cheese curds at The Horse & Plow that I will be sharing with you VERY soon. I should probably also share a link to the most comfortable stretchy leggings ever (Lularoe) along with the recipe because, well, fried cheese curds. Start Planning your Destination Kohler Experience Today! To make sure you get all the latest news, event announcements, deals and offers, be sure to sign up for their Newsletter. Read my travel buddies’ accounts of our trip, too! Again, a HUGE thank you to The Kohler Company for sponsoring and hosting me at The American Club Resort and the 2016 Kohler Food and Wine Experience. All opinions and photography (unless otherwise noted) are -as always-my own! I cannot even wait to go back again sometime! Oh my gosh the food at that place! We had a sales meeting there one year. We stayed at the hotel and ate the most fabulous food! I even have their Thanksgiving cookbook. yum! breathtaking! being a neighbor to Wisconsin (living in Minnesota) I know it has it’s beautiful parts, but I’ve never been to this great experience. it looks like it is done to absolute perfection. the wine, the food, the accommodations. thank you for sharing with us! I need that dark chocolate brandy in my life! That would be enough reason to go, but the food and wine experience looks incredible. 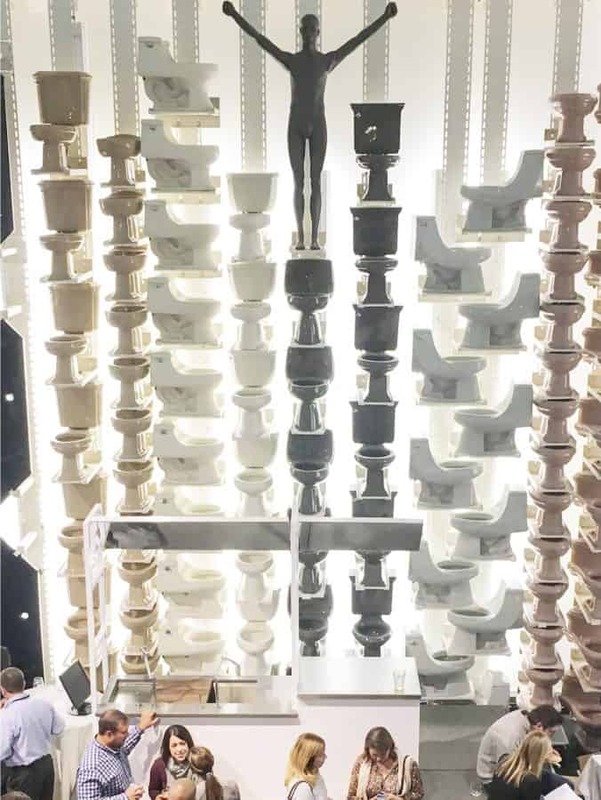 Who knew Kohler did more than bathroom fixtures? I certainly didn’t! I hope you were also able to experience cheese curds not fried. I mean, don’t get me wrong fried cheese curds are amazing… but just as amazing are curds not friend and served at room temp. When eaten fresh, they squeak while you chew! 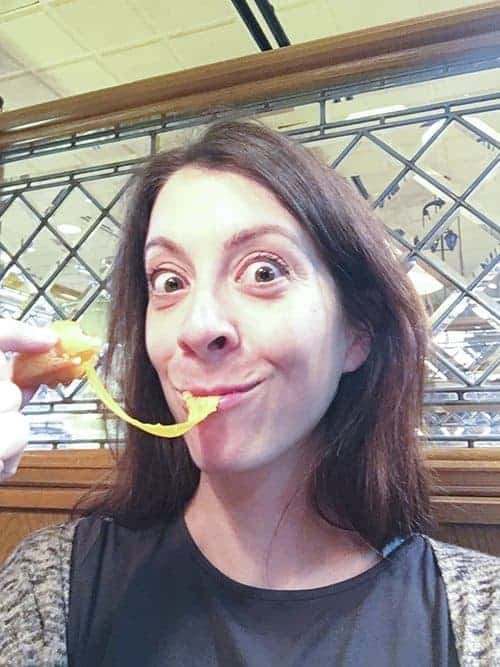 Believe it or not, I live in the middle of cheese curd country in Western New York (we live just minutes from Cuba, New York, home of Cuba Cheddar Cheese), so I am quite familiar with fresh cheese curds. 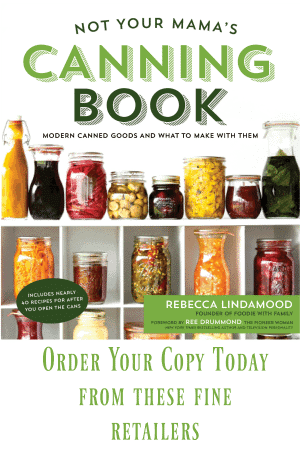 They’re a staple on our party tables and at picnics! We are big fans!